Tredco, a company specialising in the polyurethane industry, has decided to diversify by investing 30 million Egyptian pounds, or more than 1.6 million dollars, in the assembly of electric motorcycles. The Egyptian company will assemble the motorcycles of the American brand Glide. After Darshal had assembled the electric cars, another Egyptian company started to make electric motorcycles this time. It is Tredco, rather known in the polyurethane sector. The company has been exploring other worlds for some time and will launch its own electric scooter assembly line from the American brand Glide. The company will invest no less than 30 million Egyptian pounds, or more than $1.6 million. Tredco has been working on this project for months, training its employees and choosing a 15,000 m2 site where the plant should be constructed. According to the company, within a few months, it will start assembling about a hundred scooters a day. Tredco has a strong argument for selling its motorcycles in Egypt. In addition to being less expensive in terms of maintenance and energy consumption, these two wheels can be recharged anywhere, and on ordinary plugs. The scooter that Tredco will assemble in Egypt is equipped with a battery that recharges in six hours. Then the scooter can travel 60 km at a speed of 45 km/h. The Egyptian company is expected to commercialise two models, the G1 and G2. The difference will be in the price. “The G1 costs about £21,000 (nearly $1,200), while the G2 costs £23,000 (over $1,285). Both models have an elegant and attractive design, but not very different from other traditional motorcycles,” said Sherif El-Sayad, Vice President of Tredco. For both models, the battery can be recharged 600 times. “If the scooter is recharged once a day for five days a week, it will take you 2.5 years to exhaust the battery, which costs between 4,000 and 4,500 pounds ($250) to replace,” he says. Initially, all the necessary parts for the scooter will be supplied by Glide. Tredco plans to introduce local components of around 30% within one year. This concerns the chassis, the handlebars or the seats. The company already supplies several assembly plants in Egypt with headquarters. It also intends to rely on other Egyptian companies to supply other parts in the future. The Cairo-based company has just signed partnerships with Egyptian companies specialising in the manufacture of electric batteries. The project is already beginning to bear fruit. 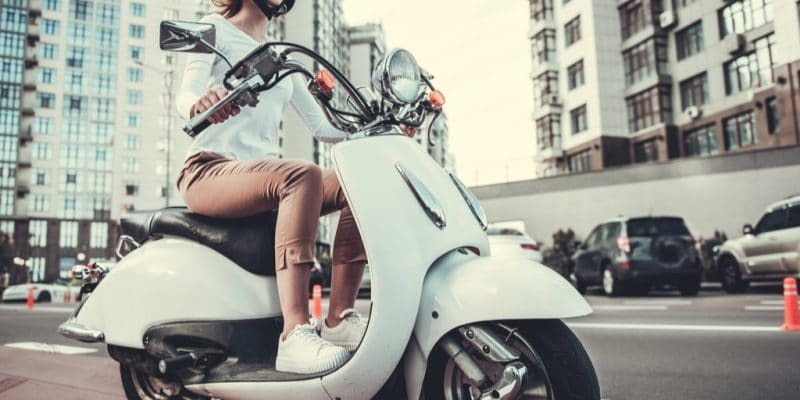 It has already signed contracts with several restaurant chains, for which the scooters should facilitate the delivery of ready meals.